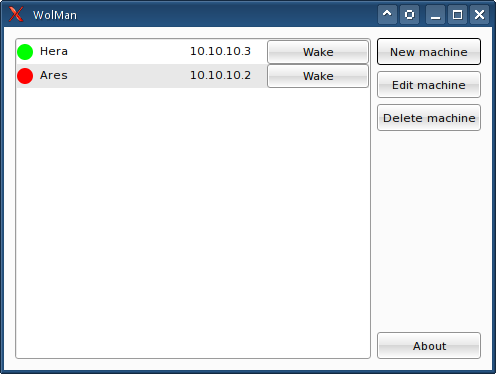 WolMan is a GUI tool that allows you to use the Wake-on-LAN feature of many NICs. It is to be used under Linux, it is written in C++ and uses Qt 4. Generate a Makefile by running qmake or qmake-qt4, then compile using make. The program requires the libpcap and libnet libraries; also make sure that you have iproute2 installed. 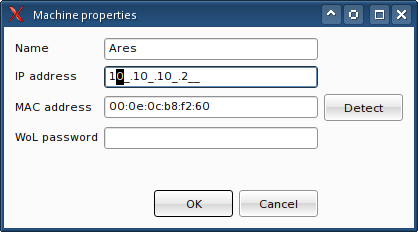 The binary has to be run with root priviledges or must be granted the setuid root attribute.